Kids curiosity about science can often be satisfied with multiple microscope projects. Below are some ideas of things that can be viewed either with a low power stereo microscope or with a high power student biological microscope. If you have access to both microscopes - compare the objects under the two different microscopes. What do the items look like at different magnifications? 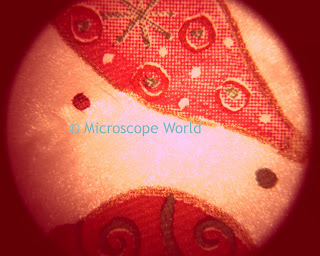 Keep in mind, when using a high power microscope that the light will shine up through the object. Therefore, the items being viewed must be thin or somewhat transparent, in order for light to pass through them, and in order to see the specimen clearly through the microscope. Print on a holiday napkin. Sugar and salt crystals (place these on a slide when using the high power microscope). Newsprint (best viewed under a low power microscope with light from above). Thin weave cloth such as a gauze strip. Water from an old flower bouquet (place it on a depression slide, use a cover slip). 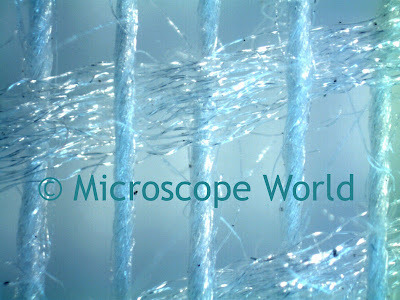 Spider web (mount directly on a microscope slide). Celery stalk (stem or small cross section). 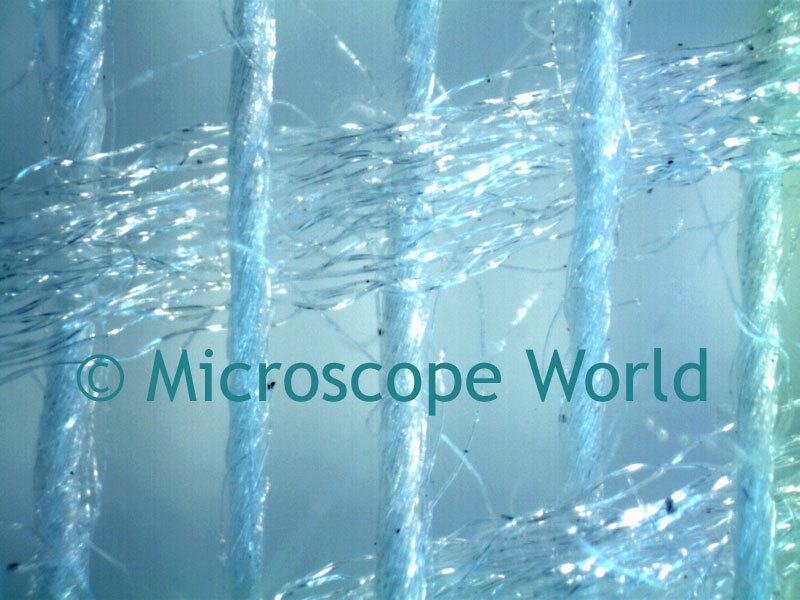 Cloth weave captured at 40x with the MW5-LD2 digital stereo microscope.